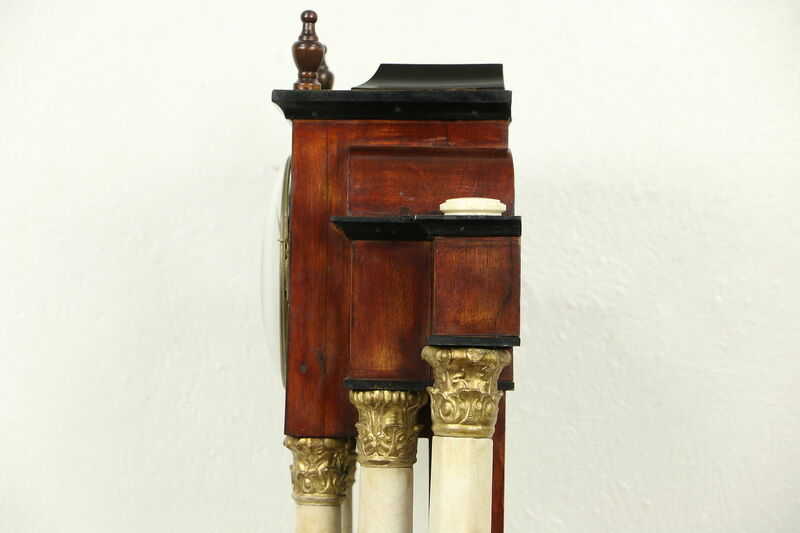 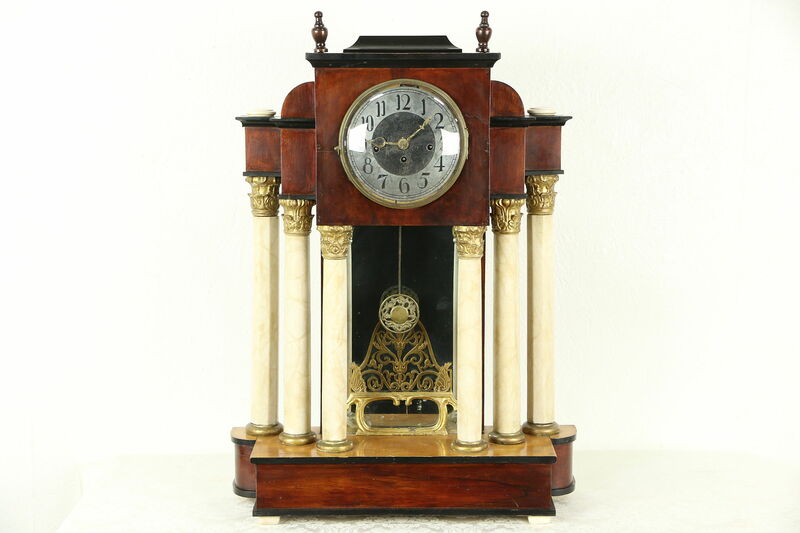 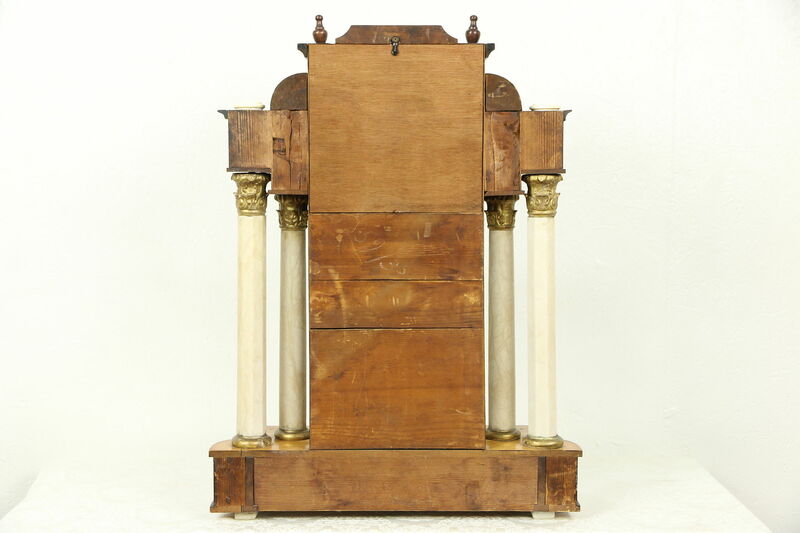 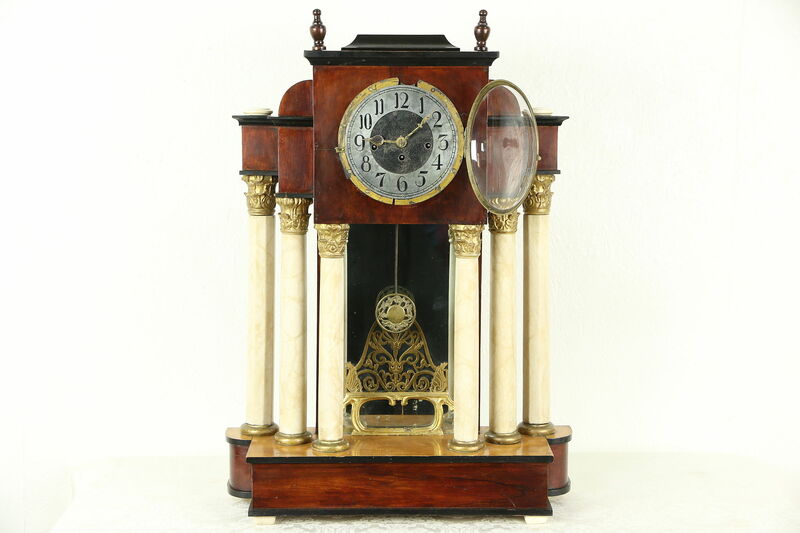 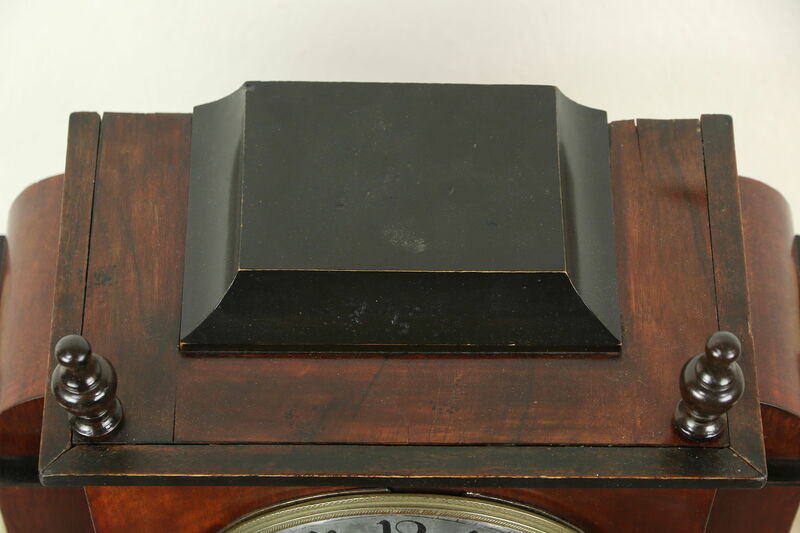 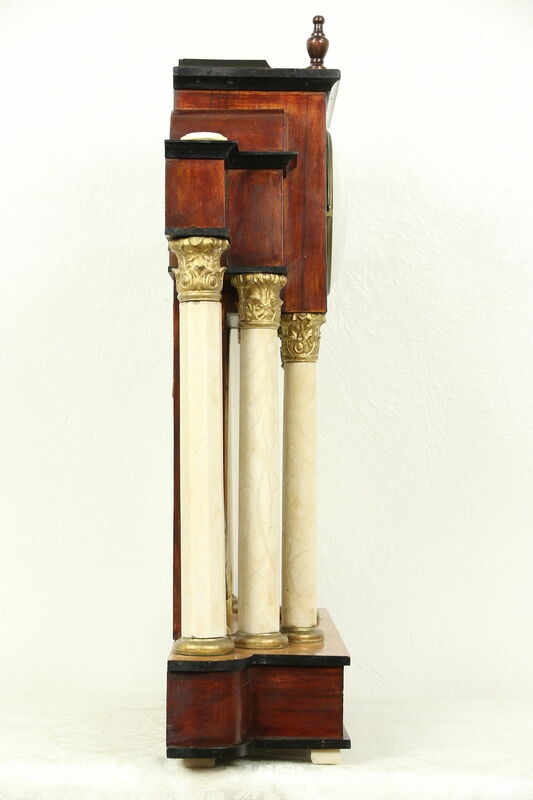 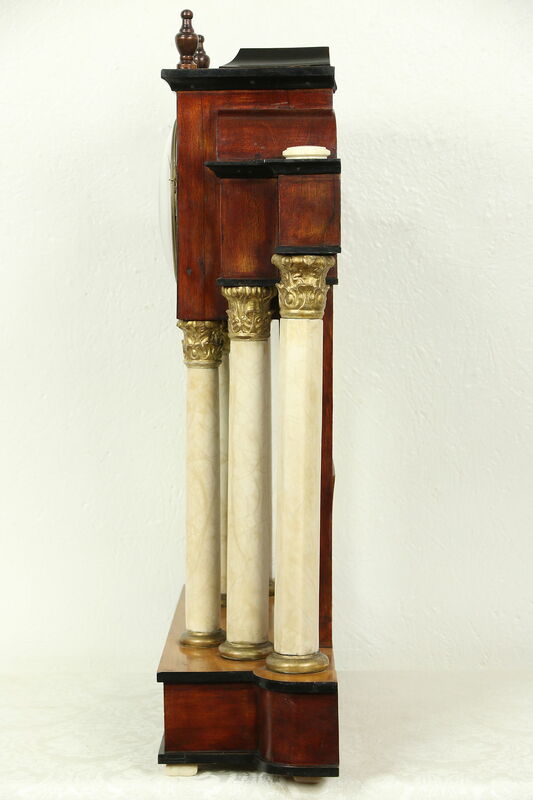 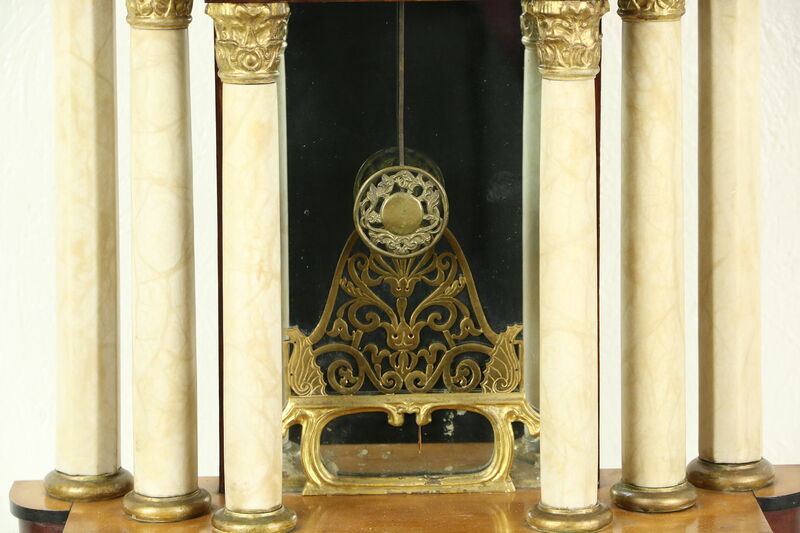 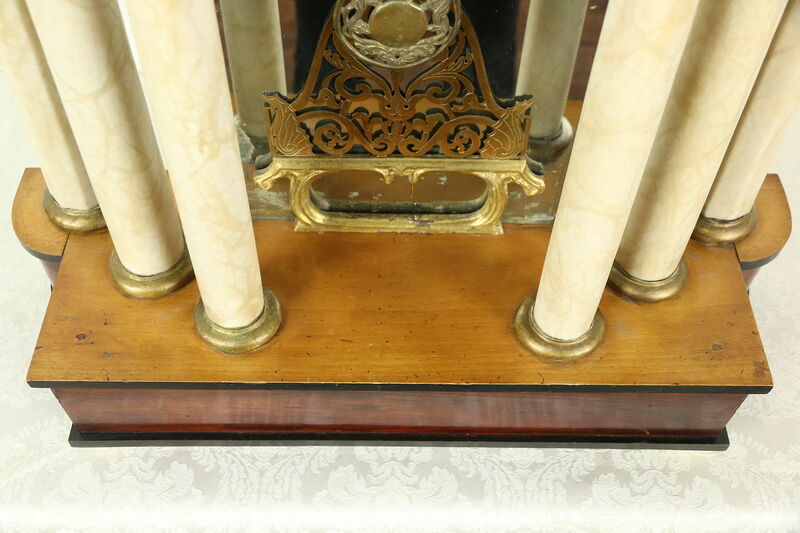 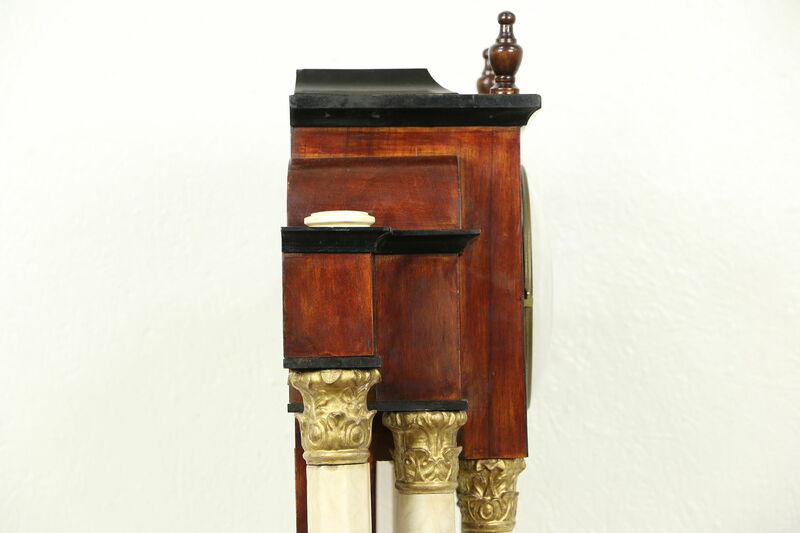 A splendid large Empire mantel clock from the 1880's has six shaped marble columns, and was said to be from Vienna. 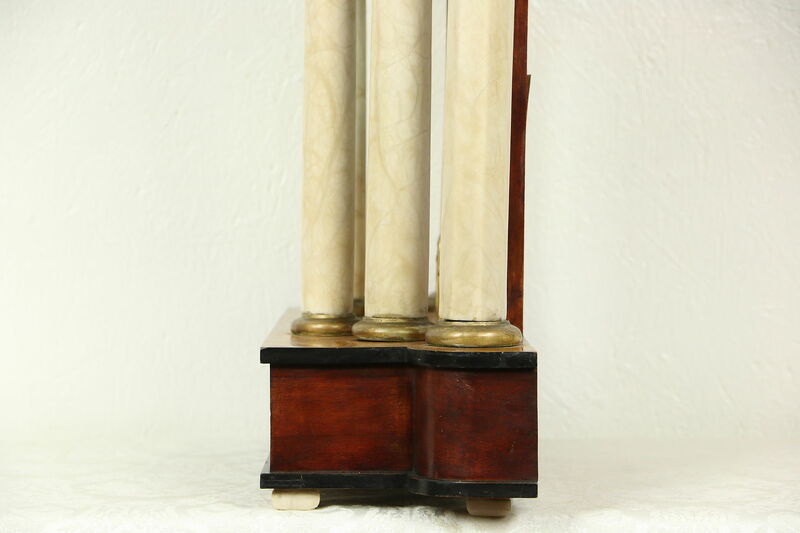 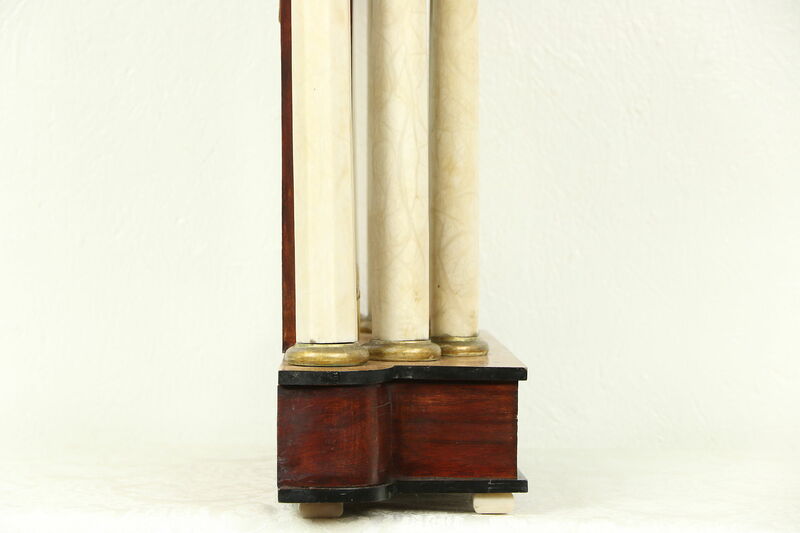 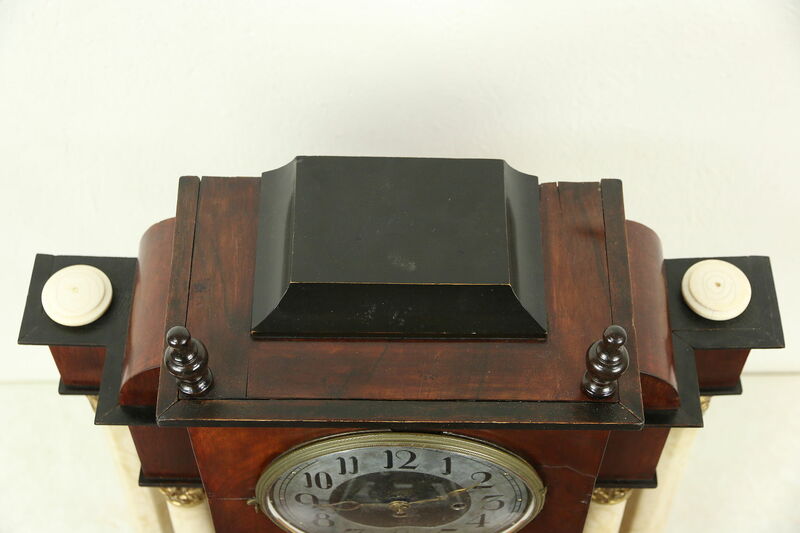 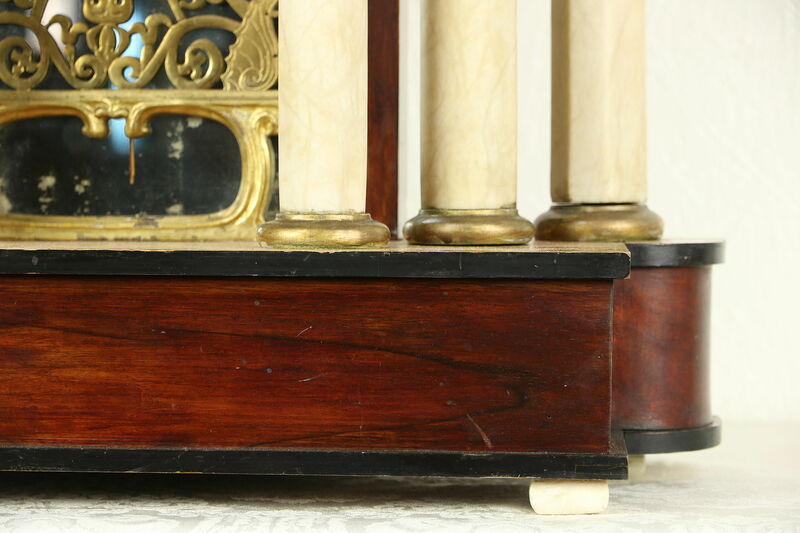 The mahogany case has warps and shrinkage separations from age, see photos. 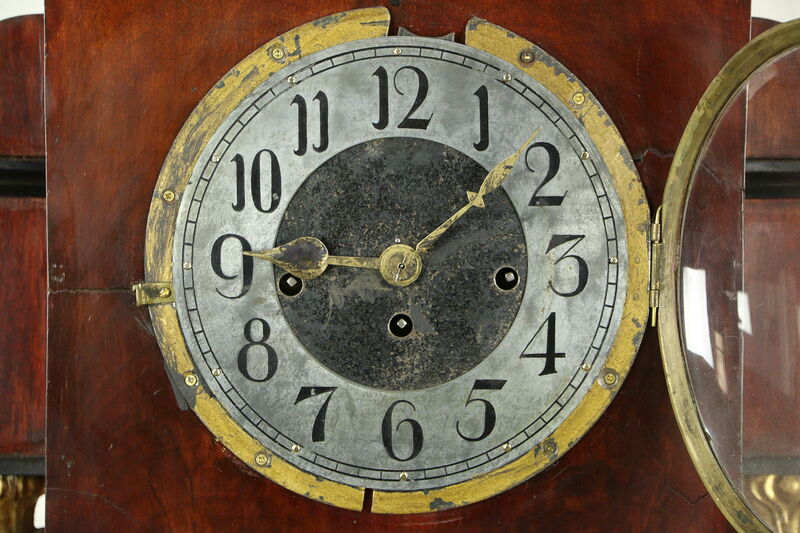 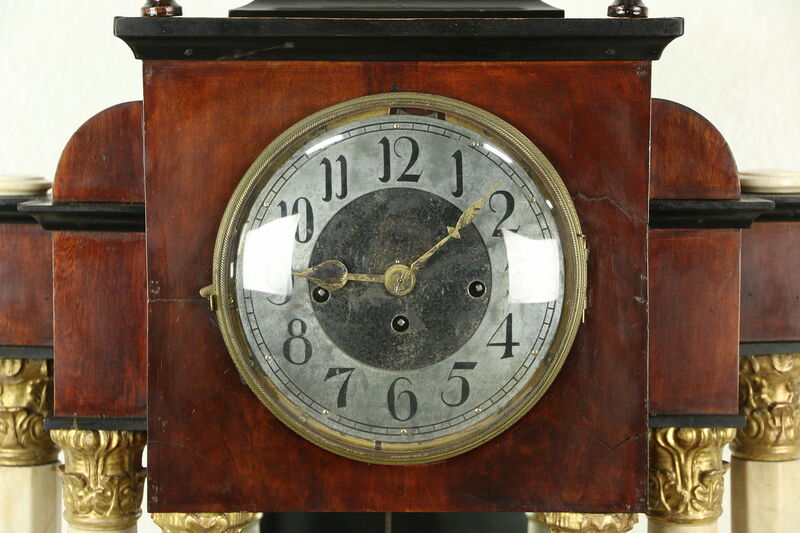 The old finish is well preserved on this rather grand antique European clock. 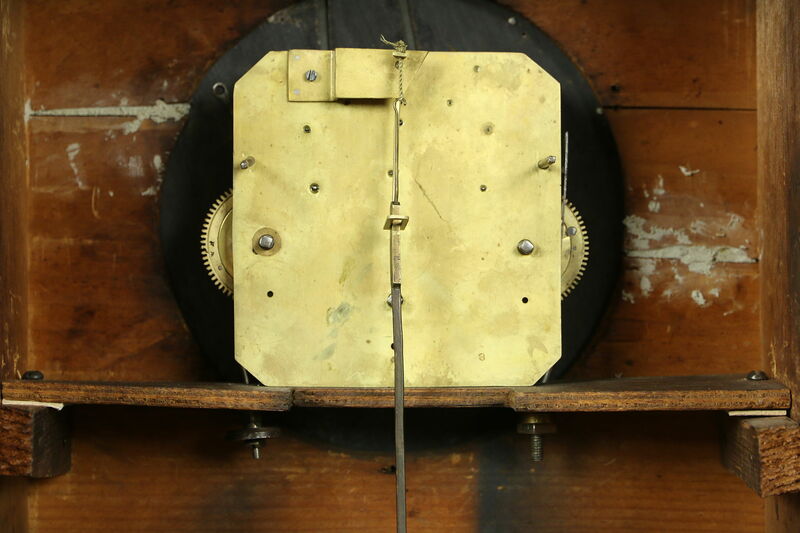 The brass movement has been professionally oiled and adjusted, and runs a week on a winding. 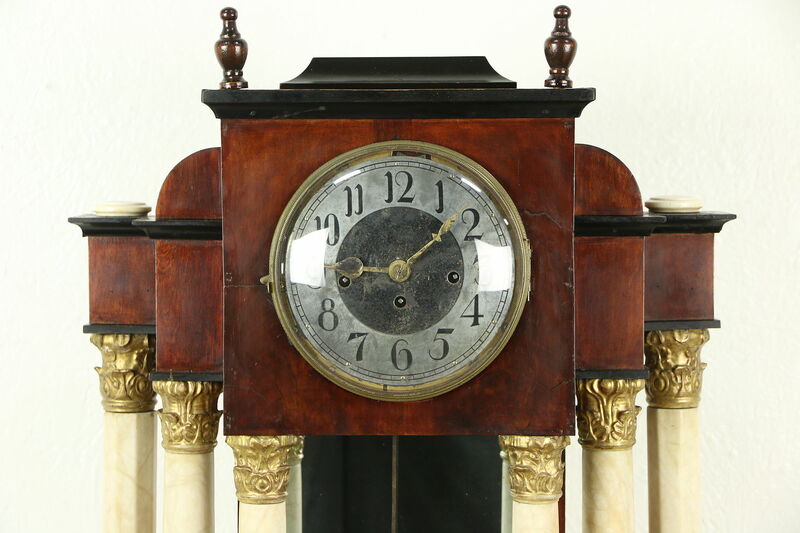 There have been various repairs and alterations over the years, and the chime has been disabled. 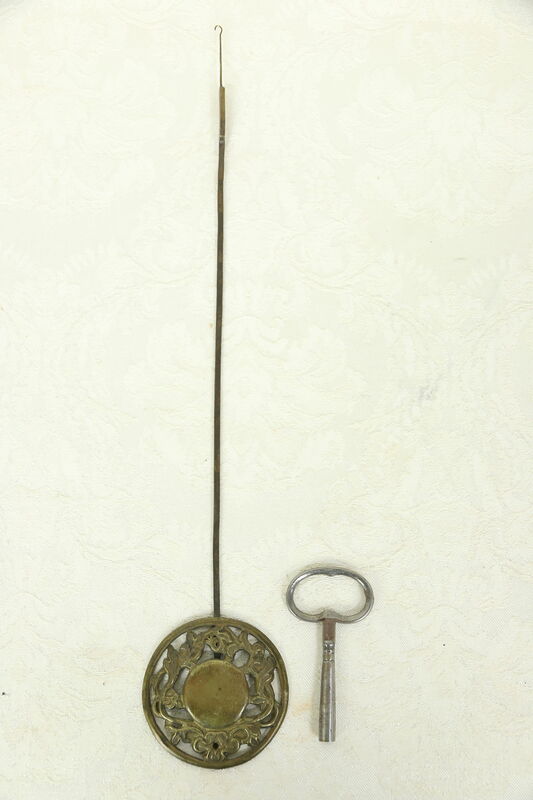 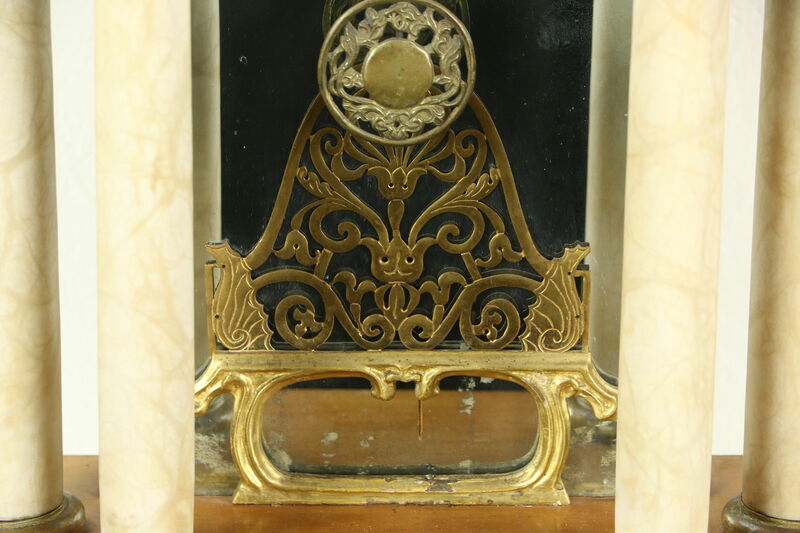 Behind the pendulum is engraved brass filigree over the mirror back. 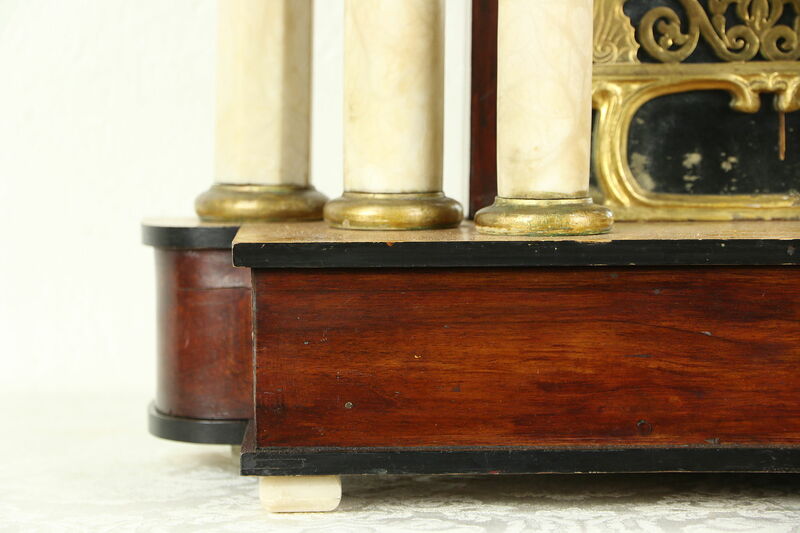 Measurements are 21 1/2" wide, 7" deep and 29 1/2" tall.